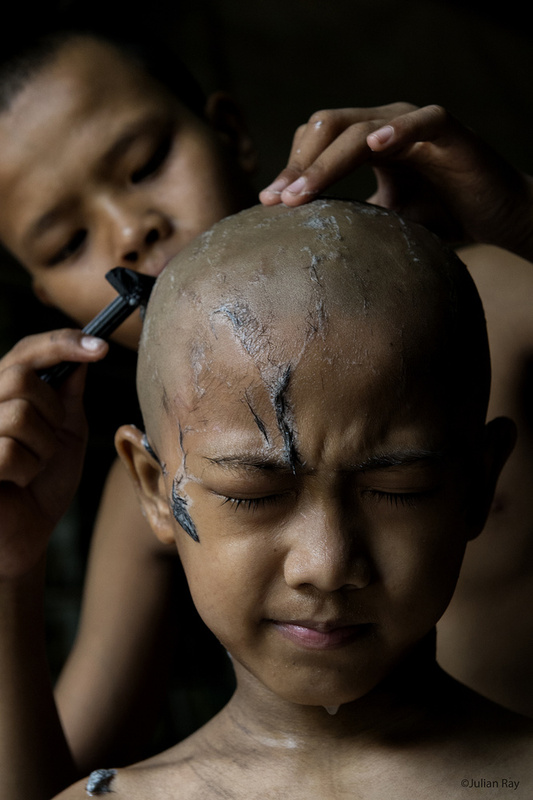 The novices each take turns shaving their heads as part of monastic life. The key is leaning to take care of how you do it as next time it will be your turn. I like everything about this picture. Nice work Julian. Wow! This is actually amazing. I love the emotion and the story this tells. So good to know that this image resonated with you. Thank you Kristopher.